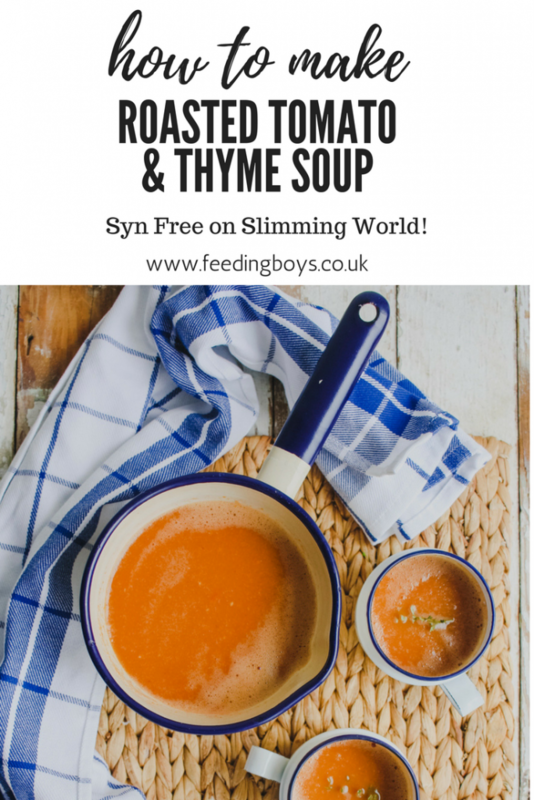 A Syn Free Slimming World Friendly Soup that’s super easy to make and ideal for filling a gap when those hunger pangs strike. 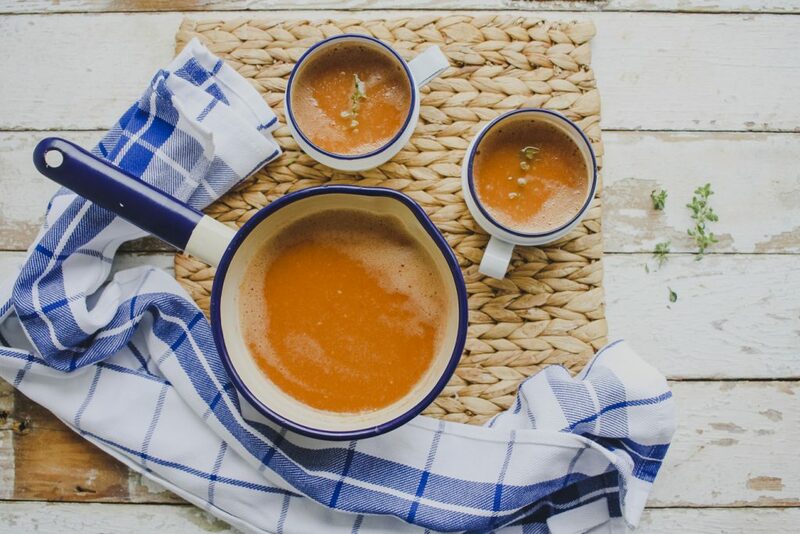 Roasting tomatoes gives them a beautiful robust sweetness, and matched with thyme and a good glug of balsamic vinegar makes for a delicious soup that’s really rather addictive. So much so that I’ve made two batches this week because I can’t stop eating it! I had a glut of tomatoes to use up from both my mum and my mother-in-law’s gardens, so I thought roasting them would be the answer. 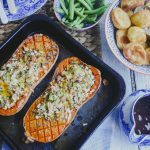 I love how the flavours develop as you slowly cook them in the oven and the juices start to flow out. I didn’t want to waste any of this goodness, so I added my hot vegetable stock straight to the roasting dish and gave it a good stir over a gentle heat with a wooden spoon and let it simmer while breaking the tomatoes down to make sure I got every last nugget of flavour. I headed to my local greengrocer to get the tomatoes for the second batch of soup. We’re really lucky to have a wonderful greengrocers shop in the middle of Whitley Bay, they always have a fantastic array of fresh produce that always seems more vivid in colour and larger in size than the stuff you get at the supermarket. I got a kilo of the plumpest ruby red vine tomatoes I’ve seen! 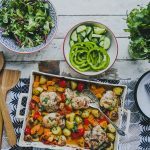 This recipe was also inspired by a delicious soup that my friend cooked for us last weekend which she served up with sausage sandwiches and the tastiest cheese scones. What a feast! 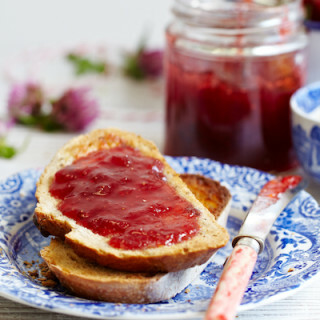 Autumn is definitely the season for getting the soup on, as the leaves are changing colour and blowing off the trees it’s time to get your cosy knits on and cook up a storm in the kitchen. 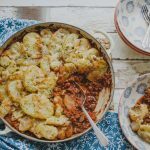 Weekends are perfect for batch cooking and then you have a fridge/freezer full of easy meals to grab when you’re busy in the week. 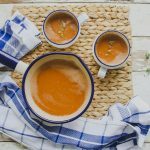 Home-made soups are also such an easy way to eat more vegetables and are perfect fodder for those of us following the Slimming World plan. 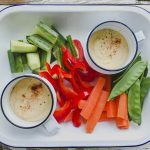 I find my riskiest times for reaching for calorific snacks is in the evening, so this week I’ve been filling a mug with some of this soup and heating it up in the microwave. It’s got that delicious umami savoury hit that I usually find in a bag of crisps, but without the calories and saturated fat. It all helps. The first batch of soup I made I added a handful of fresh basil leaves to the blender with the stock and roasted tomatoes and it was absolutely divine. The second batch I roasted the tomatoes with several sprigs of lemon thyme from the garden which was also extremely tasty. You can go with whatever you fancy or have in the house. I also varied the texture. 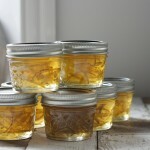 The first batch was thick and comforting, the second was lighter as I added way more stock. 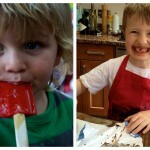 I’m giving you the recipe for a happy medium between the two! Pre-heat the oven to 180C/160C fan/gas 4. Pop the tomatoes into a roasting tin with the thyme and scatter with the sweetener, balsamic vinegar and a liberal pinch of salt and grinding of black pepper. Roast for 45 minutes. Make up the vegetable stock. Take the roasting dish out of the oven and pop it onto the hob. Pour in the stock and put it on a low heat stirring with a wooden spoon to both break down the tomatoes and lift any bits of tomato off the bottom of the pan. Gently simmer for 10 minutes then remove from heat. Allow to cool a little and then blend until smooth. Check the seasoning and adjust accordingly. Allow to cool and reheat when ready to serve. Syn Free for Slimming World followers!